Introducing the new Bavaria SP 43 Hard Top. 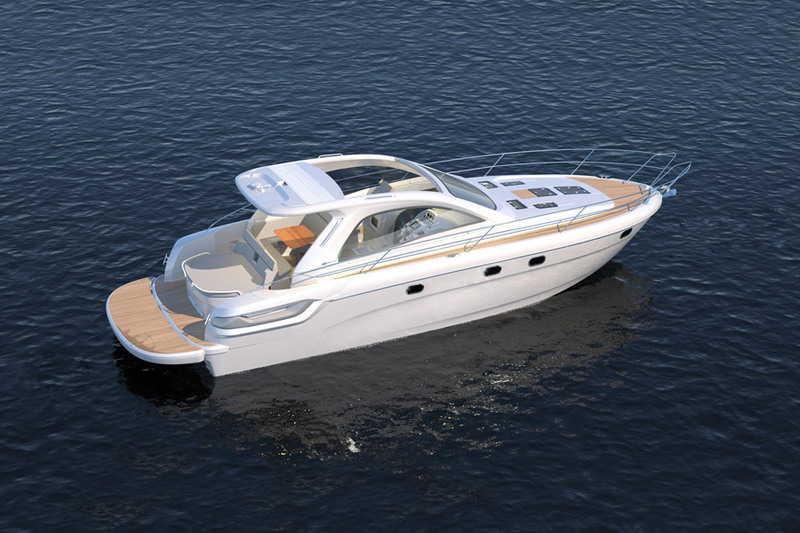 The SPORT 43 will be the fourth motorboat of the innovative SPORT Series and will be presented to the public at the ´boot´ at Düsseldorf in January 2011. 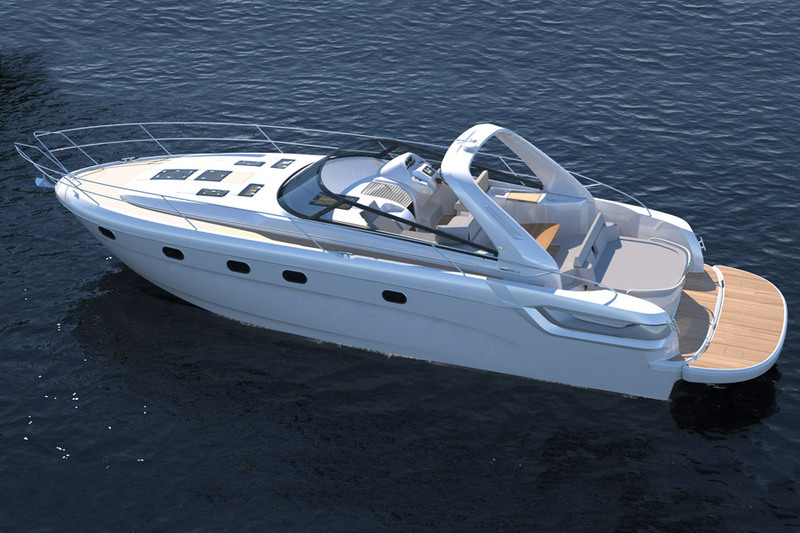 The German boat builder is expecting strong interest in its latest creation. 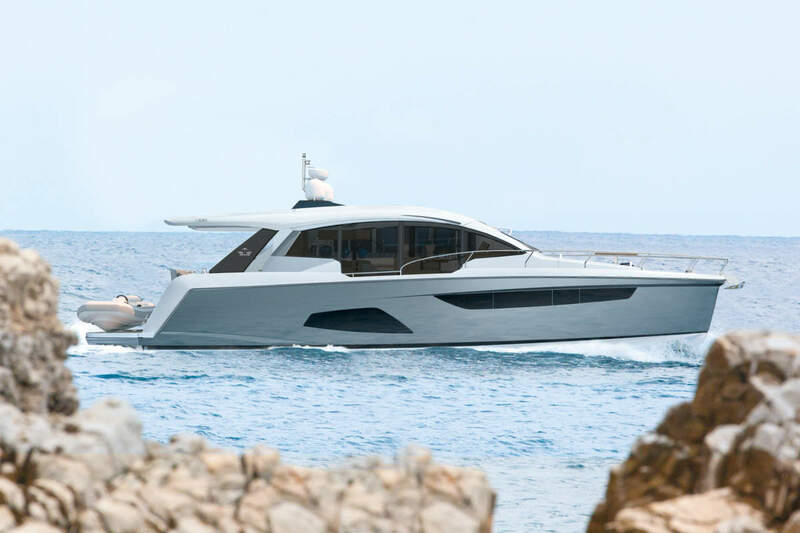 The large window area on the sides, is technically as well as functionally matured from its little sister, the SPORT HT 38. The large sunroof can be opened with an integrated easy-going manual Softtop, which is also available electrically. Thanks to the low rim in combination with the optional fold-out pedestal, the driver can look outside the windscreen whilst driving without any obstructions. The front screen (incl. cockpit) can be chosen heated as well as both side windows. The self-supporting GFK-construction without stainless steel support compliments perfectly the modern design elements of the new SPORT Series. 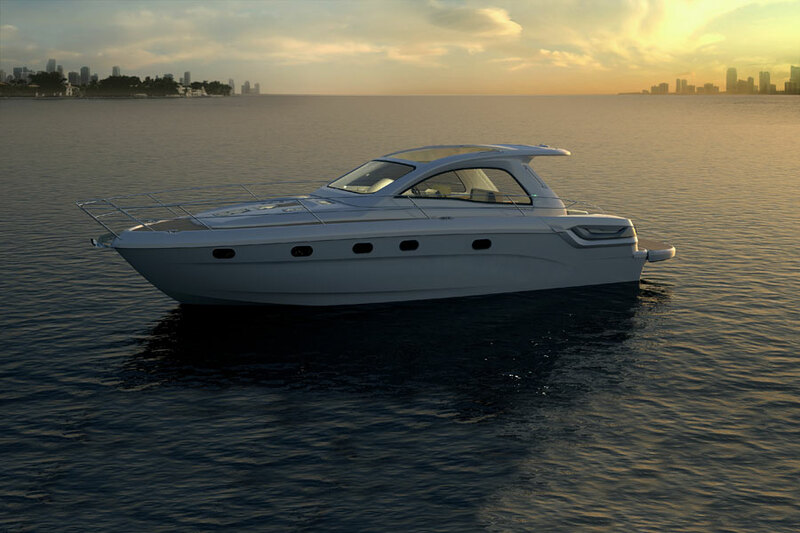 The SPORT 43 is equipped with 2 x Volvo Penta D6-370 EVC with 272 kW (370 PS) giving it a top speed of 34 knots and a cruising speed of 27 knots. The customer has now the difficult choice between the Open and Hardtop – taking into consideration the low price difference as well as the minimum weight change from Open to Hardtop. 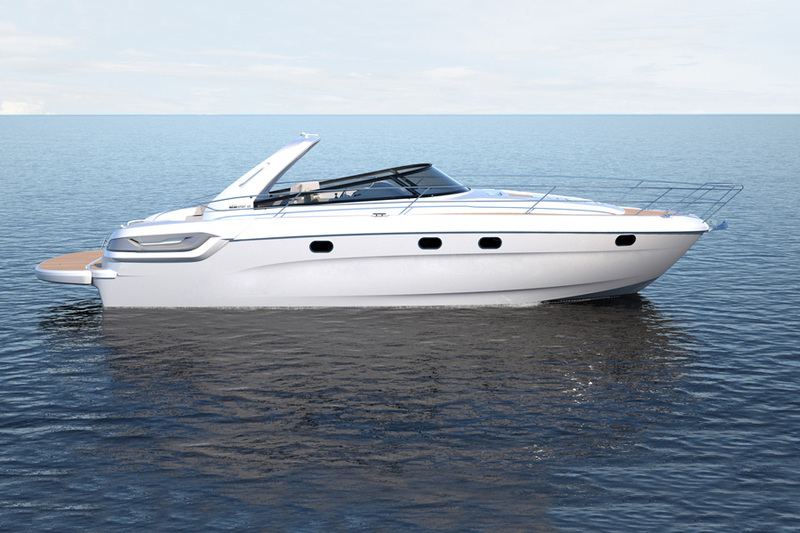 Bavaria have continued their growth by building upon tried and tested models and innovating them into new options such as the Bavaria SP 43 Hard Top. It’s sure to be a hit with the Bavaria faithful.